Umami is a basic taste, our fifth along with sweet, sour, salty and bitter. It is the taste that signals savoriness – protein from meat, fish, cheese and vegetables. While ingredient preparation and seasoning to enhance in umami in food has been part of our food culture for many years, the discovery that glutamate is key to this basic taste is much more recent. 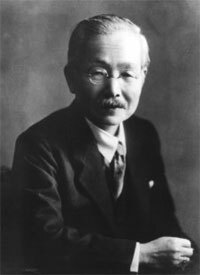 At the beginning of the twentieth century Professor Kikunae Ikeda, working at the Tokyo Imperial University detected that there was a taste common to many savory foods which did not fall into the four well known tastes. He called this taste umami. In 1908, he identified the amino acid glutamic acid, which he isolated from Kombu seaweed, as the source of this unique taste. Professor Ikeda decided to make a seasoning using his newly-isolated and distinctive-tasting ingredient. To be used as seasoning, glutamic acid had to have some of the same physical characteristics which are found, for example, in sugar and salt: it had to be easily soluble in water but neither absorb humidity nor solidify. Professor Ikeda found that monosodium glutamate had good storage properties and a strong umami or savory taste. It turned out to be an ideal seasoning. Because monosodium glutamate (MSG) has no smell or specific texture of its own, it can be used in many different savory dishes where it naturally enhances the original flavor of the food. Research into our fifth taste continues today. More than 100 years after Ikeda’s discovery, umami taste receptors were identified. These receptors, situated on the tongue and palate, respond strongly to glutamate at levels which occur in foods and confirm umami as a basic and distinct taste.